Social media is a great medium for professional services firms to develop trusted advisor status and generate leads. Yet many firms don't know where to start to generate real business results. 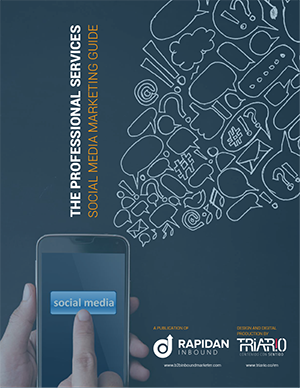 Download The Professional Services Social Media Marketing Guide for a comprehensive how-to guide for marketing on LinkedIn, Twitter, Facebook and Google+. How to market on each of the 4 major social media networks. How to use social media as a two-way communications platform. How to use analytics to focus your message and optimize your results..